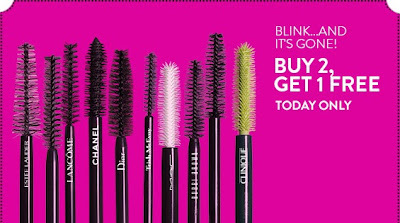 Modern Beauty Girl: Buy 2 Mascaras, Get 1 Free! 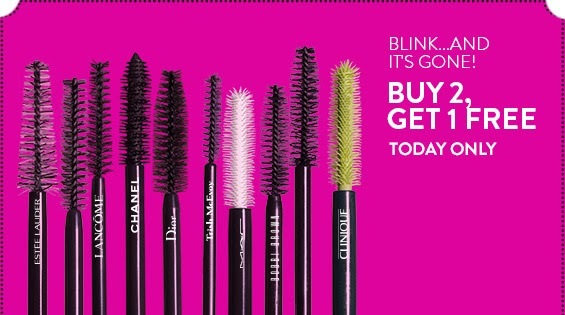 I was looking through my email today, and I saw that nordstrom.com is having a great deal, where if you add 3 mascaras to your cart, you'll get the lowest priced one for free! This deal is only happening today (11/9) so get it while you can! Also, you don't need a coupon code and it'll automatically be deducted at checkout! If you decide to get any of these mascaras, let me know which ones you get in the comments!